Natural range Europe to north Africa. Habitat Roadside, grassland, riverside, crop field, etc. Range in Japan Hokkaido to Tohoku District, Shizuoka, Mie, and Hyogo Prefs. Impact Potentially: Hitchhiking on agricultural pest (Leptinotarsa decemlineata. Competition with native species. 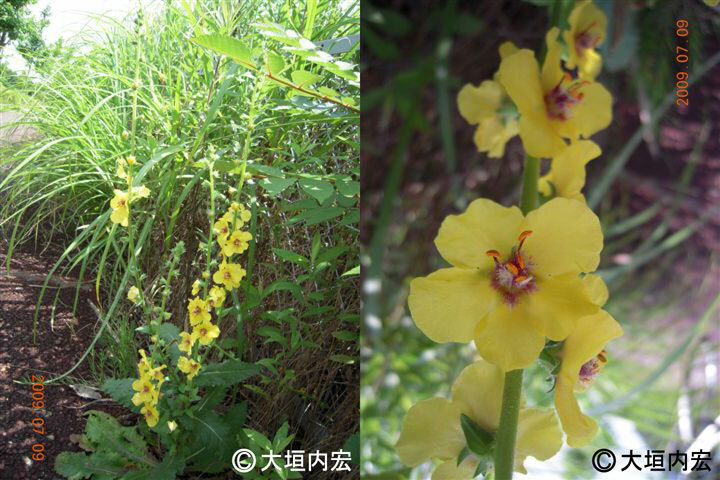 Regulation in Japan Import of genus Verbascum from the countries with Leptinotarsa decemlineata to Japan is prohibited by the Plant Protection Act. Introduced range in other countries North America, Australia, etc.